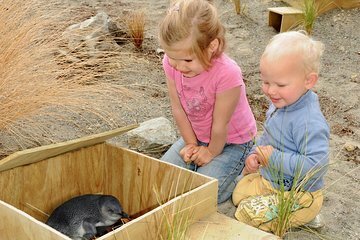 Entertain and inform the entire family at EcoWorld Aquarium & Wildlife Rehabilitation Centre, conveniently located next to the Interislander ferry terminal. On this Picton shore excursion you'll go behind the scenes with on-site staff. Get acquainted with some of the extraordinary creatures of the Marlborough Sounds, such as tuataras and little blue penguins.